Helsinki, May 9 (AP) Nobel Peace Prize winner Martti Ahtisaari says he is stepping down as chairman of the peace organisation he founded 17 years ago to help resolve global conflicts. 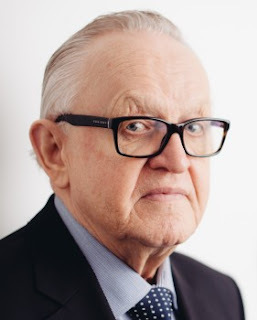 Ahtisaari made the announcement today at a meeting of the Helsinki-based Crisis Management Initiative. He says he has recommended that former Finnish Prime Minister Alexander Stubb replace him when he leaves in the autumn. Ahtisaari, Finland's former president, was awarded the Nobel Peace Prize in 2008 for his decades of work as a diplomat and mediator. He is credited with helping to end 30 years of fighting between Aceh rebels and the Indonesian government, to bring independence to Namibia and to facilitate Serbia's withdrawal from Kosovo. He founded CMI in 2000. Ahtisaari said he would continue working with the organization as an adviser.